Since frizz is one of the hottest topics amongst our Curlettes (that’s the name of our amazing community of curly customers and VIP newsletter subscribers), I thought it would be a great idea to create a cute but highly effective graphic on how to get rid of frizz. Take a look at the picture and if you learnt something new from it, leave a comment sharing it below. Do you know anyone who might benefit from this blog post? Click on the social media icons below to share this with your friends. PS. Go here to become a Curlette! Have you ever felt self-conscious because your hair was thinning? Have you had to cover it up with scarves and hats to hide thin spots or worried that it was excessively breaking? Don’t fret because you’re not alone. Women (and men) of all hair textures and ethnicities experience hair thinning at some point or another. In fact statistics show that more than 21 million women in the USA alone experience hair thinning at some point. How can you prevent or reduce thinning hair? 1. Ditch tight weaves and tight braids. 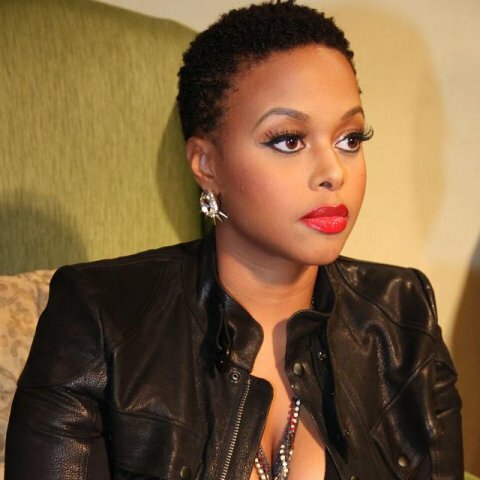 Many women make the mistake of sacrificing their real hair’s health for the fun of wearing a glamorous looking weave or thin braids. The truth of the matter is that many women fail to keep an eye on how tight their extensions are and as a result they experience traction alopecia (a severe form of hair breakage) because the hair has been pulled too tightly. 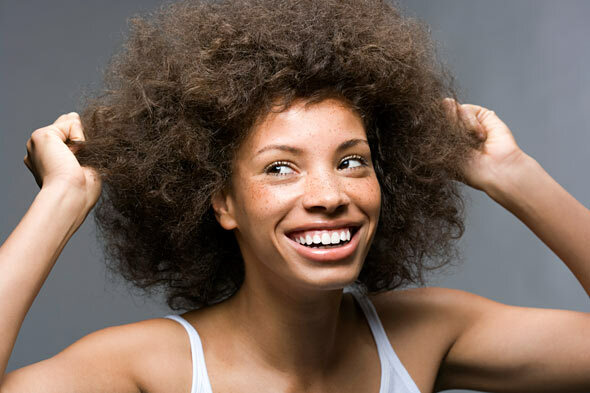 If you want a headful of luscious natural hair, avoid getting your hair styled too tightly and tell your hair stylist to be cautious with your hair. Always remember that your hair is fragile and should be handled with care. 2. Don’t comb excessively. There’s an ancient Greek adage that says ‘nothing in excess.’ That definitely rings true when it comes to your hair. Combing or brushing your hair excessively or harshly causes it to break, tear and snap. Be careful with how often you comb your hair and try to finger comb instead of always combing it with a brush or comb. 3. Be health conscious. Believe it or not, your diet plays a crucial role in your hair’s condition. If your health isn’t in check, it will often reflect in your hair’s condition. Firstly, if you experience persistent hair thinning, go to the doctor and get checked out. It could for instance be a sign of an under active thyroid. If however, you’re experiencing thinning hair despite the fact that you have no medical problems, you might want to pay closer attention to your diet by upping your vegetable, fruit and water intake. Also, if you haven’t been working out, get moving! Aim to exercise for at least 30 minutes a day and don’t forget that doing things like walking up a flight of stairs, jogging in your living room and dancing all add up. If you liked this post don’t forget to like it by clicking the LIKE button below and share it with friends and family. And if you want more hair care tips subscribe to our VIP list. It’s free! Did you know that our hair loves certain foods just as much as our body does? There are 3 particularly delicious goods that are loved not just by the body but by the hair too. These foods are nutritionally rich and are often high in protein. They’re essentially hair foods. Eggs. Hair is on average, composted mostly of keratin protein. Eggs are therefore essential because they replace lost proteins and help rebuild damaged hair. To get the most out of eggs, not only should you include them in your diet but you should also apply eggs to your hair. To get the best results, apply eggs from root to tip to your hair, leave in for 20 minutes and rinse out with cold or warm water. Using hot water could potentially damage your hair and will cause dryness. Coconut Milk. I love coconut milk. It’s delicious, smells yummy and has big benefits for your hair. Because coconut milk contains protein, it protects your hair from losing protein and helps prevent damage to your hair. To top it off, coconut milk contains iron which is also important for hair strength and growth. Chocolate. Hailing from the cacao plant, chocolate has several benefits for the hair. Firstly, it can stimulate your scalp, conditions your hair and reduces hair loss. Chocolate with a high cocoa content (of at least 70%) is particularly good because it contains antioxidant and vitamin benefits for your hair. (Source: A Healing Grove: African Tree Remedies and Rituals For The Body & Spirit by Stephanie Rose Bird). As you can see, foods serve an important role in hair care. Incorporating hair foods into your hair care routine doesn’t need to be complex or difficult, it can be straight forward and even fun. It’s always great to test things out, see what works for your hair and be a little bit experimental. As always, please make sure you check to see if you’re allergic to certain foods before applying them to your hair. For more hair tips, subscribe to our newsletter at www.mycurls.co.uk. Frizzy hair can be a nightmare! Most of us have experienced frizz at some point in our lives and it can be one of the most annoying hair qualms. If you’ve been battling with frizz, don’t fret. 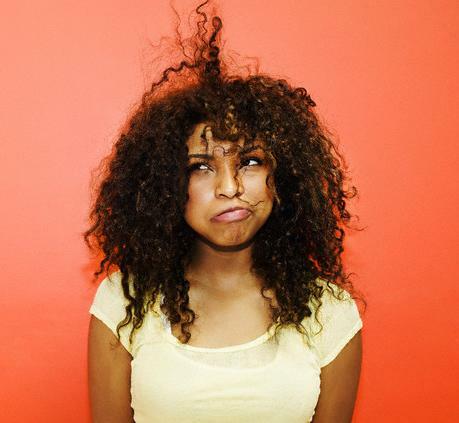 Here’s one awesome thing you can do to stop your hair from frizzing up and driving you crazy. Wanna know what that tip is? It’s simple. Stop using a towel to dry your hair and instead us a t-shirt. Firstly, the rough texture of towels not only dries your hair out but also causes friction when it rubs against your hair. This in turn leads to frizz. Imagine, rubbing something rough-textured against something fragile and frail. Now contrast that to using something a soft-textured t-shirt on your hair? 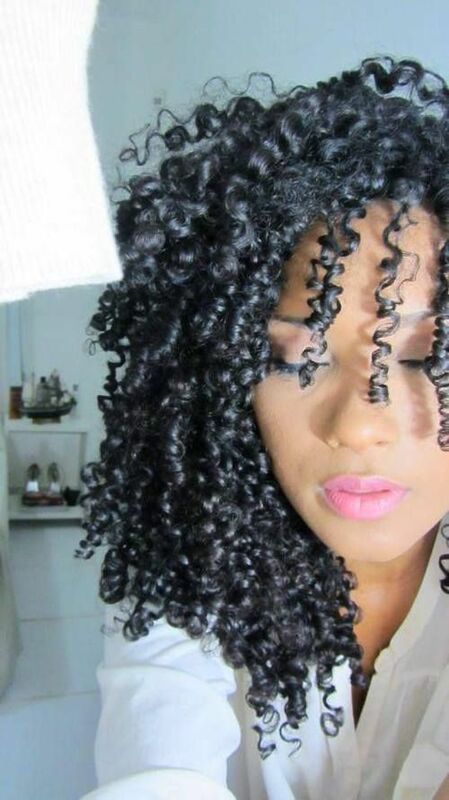 When you think about it, using a towel on your delicate tresses makes no sense if you want softer, frizz-free curls. 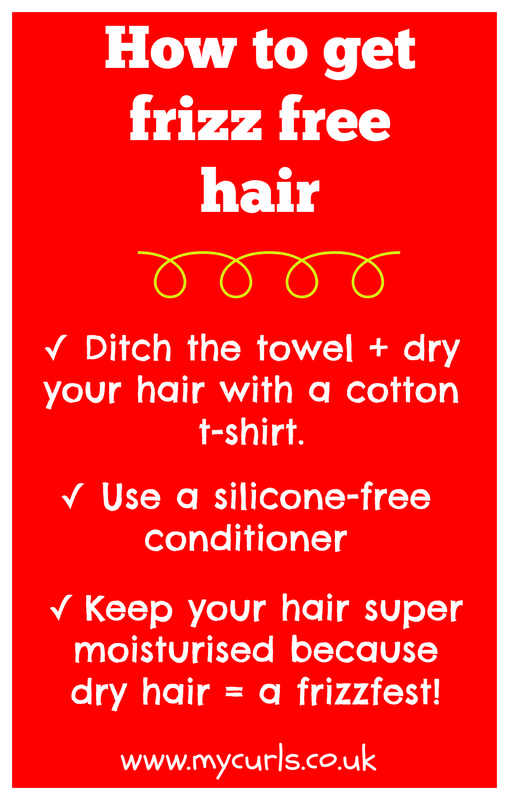 So, if you’re experiencing frizz, the first thing you should do is swap your hair towel for a soft, cotton t-shirt. PS. If you’d like more hair transforming tips subscribe to our newsletter– it’s free!